p840m2075996 - RS - Lake Hume, the largest reservoir in Australia during the drought which lasted from 1996-2011. 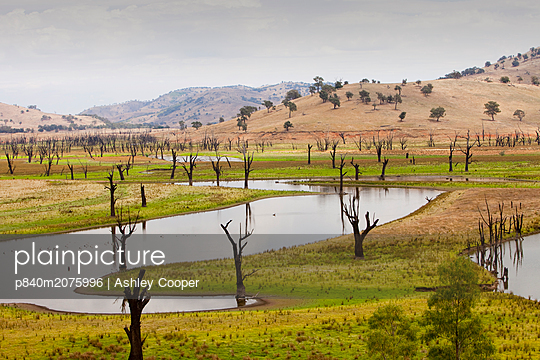 In this image the water was at at 19.6% capacity, but at its worse point it was at 2.1% New South Wales, Australia. February 2010.